Spider Man is among the favorite super heroes of kids. Keeping its high demand in mind, we come out with a unique idea of offering Spider Man Sculpture. 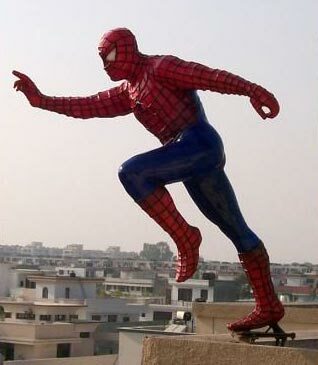 Spider Man Sculpture, offered by us, is liked by children. This Spider Man Sculpture is the centre of attraction of gardens because of its exquisiteness and lively appeal.